Reconnective Healing allows you to experience a wider reality through the Reconnective Frequencies of energy, light, and information now appearing on the planet. Your consciousness is opened in new ways to your multidimensional nature giving you a direct experience of who and what you are. By experiencing life in this way, obstacles in your life that are not related to your life path and what you are called to do in this lifetime are often removed, bringing you to a state of balance. These obstacles may be physical, mental, emotional, or spiritual in nature. Often combinations of these are addressed as they are interdependent in this wider perspective. Reconnective Healing is often a life-changing experience, introducing you to an astonishing ocean of energy, light and information, to allow for the healing of body, mind and spirit. People are turning to Reconnective Healing to eliminate chronic pain, depression, anxiety, stress or other conditions that have not responded to traditional methods. Even those not contending with a health issue often find more energy or achieve a strong spiritual connection or joy in life. Reconnective Healing works to correct imbalances underlying a particular disease, issue, or life challenge. A Reconnective Healing Practitioner does not diagnose or treat specific conditions, but helps you to initiate an experience that allows healing to take place. These highly palpable energies are initiated at the beginning of your session and continue working with you long after your visit has ended. Through your participation in these sessions, you will be forever changed, operating at—and attuned to—a higher frequency than ever before. 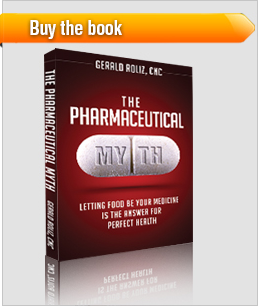 Find out what is baffling the medical community. Discover why major hospitals, doctors, and research scientists, even the UNITED NATIONS took notice of Reconnective Healing. This is because it is possible to repeatedly measure Reconnective Healing’s effects in scientific controlled research. It is amazing and real. 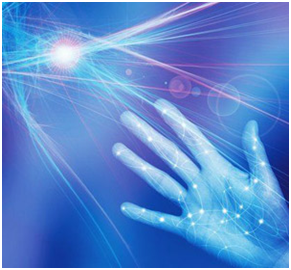 The research results for Reconnective Healing were not only profound, but the results were demonstrated over and over again. These scientific findings are one more thing that makes Reconnective Healing different. The usual treatment period is 30-35 minutes of table time per session, and 1-3 sessions are normally recommended. You can expect to meet with me for one hour for each session, which allows for discussion at the end of the session. Each person heals in their own way, guided by the Universe. Some will experience instantaneous healing, and others may take hours or even days to notice a difference. You should consider scheduling 3 sessions. If your issues resolve in the 1st or 2nd visit, you do not need the other visit(s). You don’t have to come in for ‘weekly’ sessions, or on any kind of an ‘ongoing’ basis. Some observe changes only upon reflection over a period of time, as life begins to flow more easily. The energies, once initiated through your participation and acceptance, attune you to higher frequencies which in turn can create lasting change. Is Reconnective Healing right for me? Reconnective Healing has aided in healing health challenges such as cancers, AIDS-related diseases, fibromyalgia, trauma, depression, addictions, and many others. Reconnective Healing has also helped to alleviate pain and promote healing in chronic conditions and post-surgery. Even those not contending with a serious health challenge often find a new sense of wonder and richness in life upon experiencing Reconnective Healing. One of the prominent characteristics of Reconnective Healing is that the practitioner does not diagnose or treat any specific health challenges, or try to “direct” the healing in any way: Reconnective Healing instead allows the connection between yourself and your multidimensional nature, through the Reconnective Frequencies initiated by the practitioner, to decide what will happen. In some cases, people coming to a Reconnective Healing session with one healing in mind will leave with a healing beyond what they ever imagined. Disclaimer: While many have experienced healing during or after receiving Reconnective Healing, there are no claims, promises or guarantees of any particular outcome, and neither is there diagnosing nor treating specific health issues or challenges. As I facilitate healing, I proceed with the heartfelt intent that the client’s greatest good manifest, whatever that may be. I acquiesce to the wisdom of these healing frequencies, which in turn select what the appropriate healing is at that time. 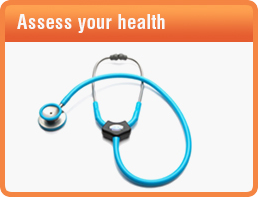 You are solely responsible for seeing to and continuing with your own medical treatment. Reconnective Healing is facilitated hands-off while you relax face up on a massage table, fully clothed. If lying down is painful, your session will be just as effective in any position that is comfortable for you. Dress comfortably and please avoid any externally added fragrance or scents. The healings occur outside of the constraints of time and space, so more time is not better. Reconnective Healing facilitates healings physically, mentally, emotionally and beyond that includes the evolution of your very being and essence! Healing is a return to balance. Each person’s experience is unique and just right for them at that time. Some experience deep, profound relaxation. Others report relief from pain or other physical problems. Others have reported healings from serious afflictions. Some report seeing angels or guides; others experience visions, colors, lights, and sounds they’ve never known before. Whether one experiences events such as these or nothing at all, the Reconnective Healing frequencies are affecting their purpose. Frequencies are initiated by your practitioner at the start of your session, and continue working with you long after your visit has ended. Healings can come in all forms. The best way to allow for a healing is to proceed in a state of expectancy – but without specific expectations or attachment. Place yourself on the table, relax, close your eyes and simply notice. Observe. Become both the observer and the observed. Withdraw your participatory thought process and simply observe your inner experience; lie there and let go, as if you simply had a little unexpected rest time.